Jokesters got their prank on this Monday for April Fools’ Day from coast to coast, marking the occasion with some pretty elaborate announcements. And of course, a number of companies in Canada got in on the fun, with some jokes being extremely believable, while some were rather… questionable. From WestJet’s Flyre Festival to the world’s largest Timbit from Tim Hortons, we’ve curated a list of the best pranks from across Canada. Apologies in advance, none of these are real. 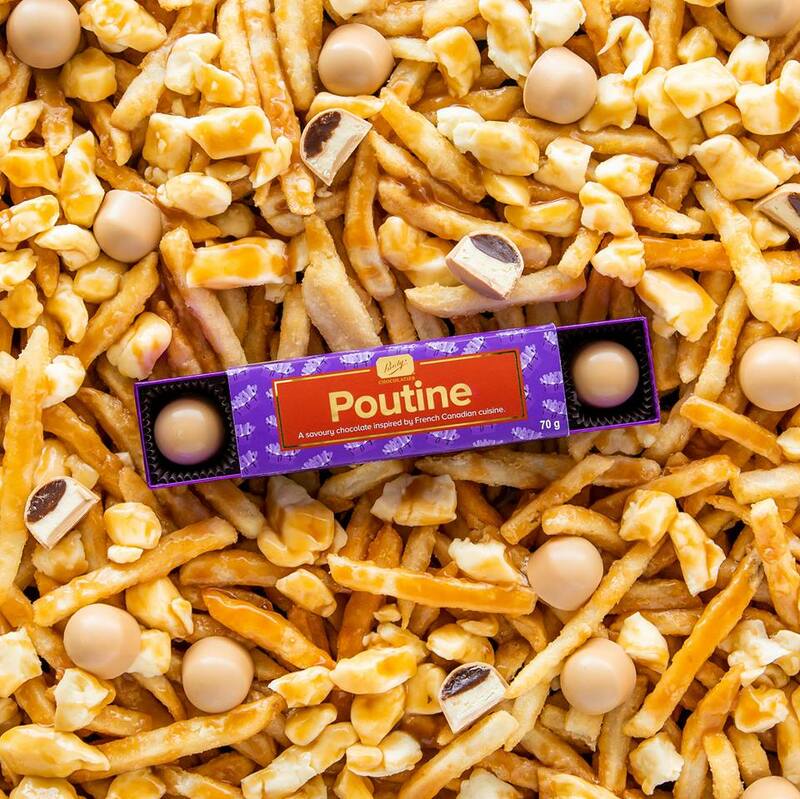 While it’s no secret that Canadians are obsessed with poutine, something tells us that foodies won’t be lining up to try poutine chocolate. Featuring creamy white chocolate blended with potato flakes and shredded white cheese curds topped with savoury dark chocolate caramel gravy, in a caramelized white chocolate shell *shudder*. 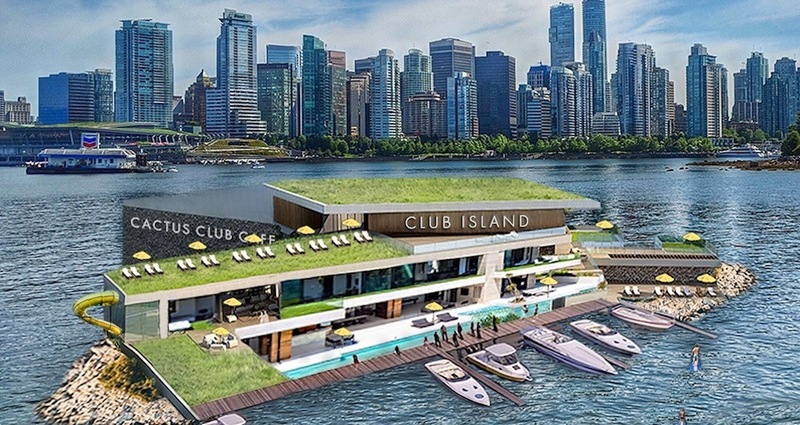 Cactus Club Cafe announced Club Island, Vancouver’s first stand-alone floating restaurant off the shores of Stanley Park featuring 360-degree waterfront views and an all-season underwater dining room and a sea level bar and private cabanas. This honestly doesn’t sound like such a bad idea considering you can already buy single Timbits from Tim Hortons. The only problem is you would probably want more than just one. WestJet definitely had some fun with its April Fools’ prank, which is an immersive music festival at 35,000 feet on the airlines 787 Dreamliner. Something tells us chicken wing enthusiasts would actually be on board with this one. Swiss Chalet Sauce has cult status in Canada, so serving it as an ice cream flavour seems almost plausible. But thankfully it’s not actually a thing. Canadian milk manufacturer Dairyland announces its plans to release a milk jug specifically for left-handed milk drinkers. Questionable… but possible? The Government of Canada revealed that it’s applying new experimental science methods to bring the passenger pigeon back from extinction. WestJet’s low-cost carrier Swoop also got in on the April Fools’ action themselves, with this “recline-for-a-dime” promotion. This is actually something we would love to see happen… as long as we get to contribute to eating it. Harvey’s revealed its prank via Twitter and we’re going to go out on a limb and say it’s not a beautiful thing. Introducing Harvey’s dessert burger, complete with a cherry on top. What’s more Canadian than Poutine? Subway introduced its new poutine sub, which might not actually be all that bad. However, poutine-filled sandwich is a mere “product of our imagination” and not available for purchase. 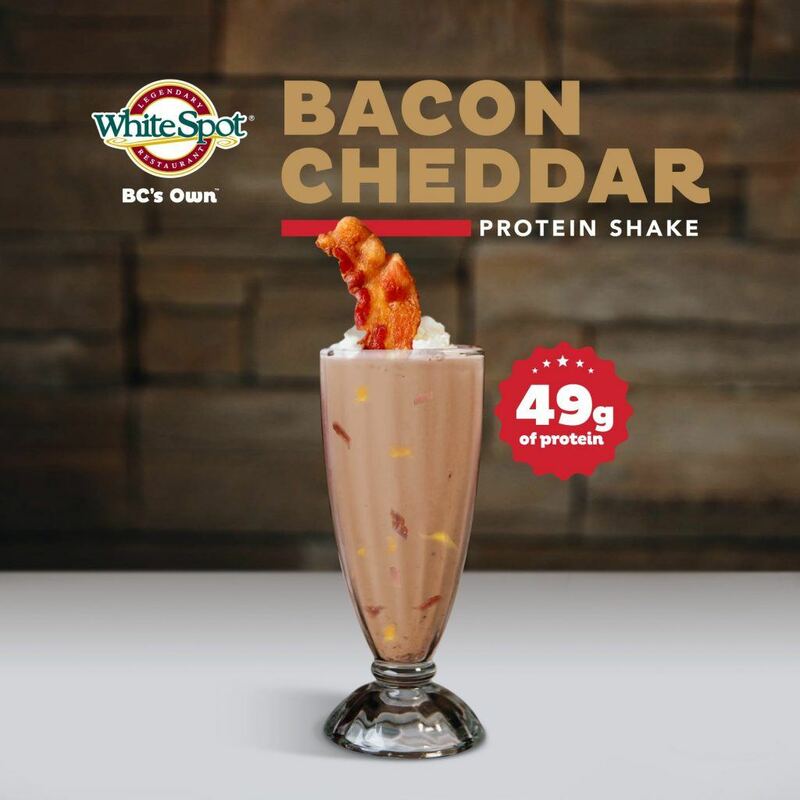 Popular BC burger joint White Spot announced its bacon cheddar protein shake, which is a blended mixture of two of its best sellers: the classic Bacon Cheddar Burger and the Vanilla Milkshake. In total, White Spot notes that the drink has a whopping 49 grams of protein. 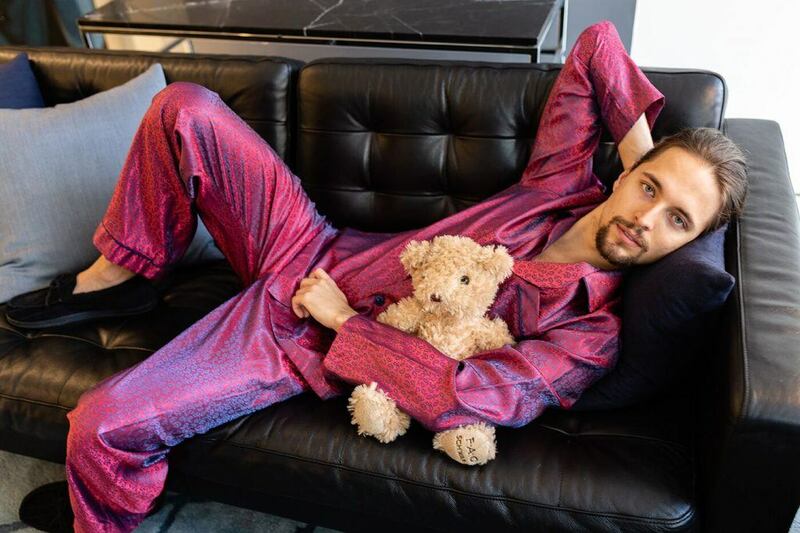 Indochino, the global leader in custom apparel, teased their custom pajamas, which “will do nothing for the comfort or quality of your sleep. But they’ll make you look cool.” Despite being a prank, this actually sounds like a pretty great idea. Aimed at showing the hardships of the current Toronto real estate market, RE/MAX’s West Kabani Realty’s prank features tactics currently being used by Toronto Realtors, and showcases a new way to make your property stand out from the sea of listings – a music video. Ahh if only this was true. 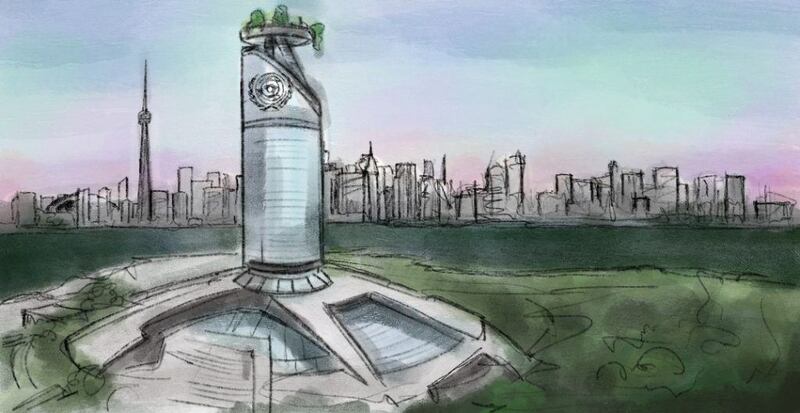 Daily Hive Toronto convincingly reported that Prime Minister Justin Trudeau announced a $6.2-billion relocation of the United Nations headquarters to Toronto’s Portlands, effectively turning Toronto into the world’s capital city.